Join us as we welcome Kevin Sloan to the Northeast Region! Kevin will be the new project leader at Chincoteague National Wildlife Refuge in Virginia and comes to us from Crab Orchard National Wildlife Refuge in Illinois. Kevin is a 27-year veteran of the Service and brings a wealth of knowledge from his diverse experience with us and other conservation agencies. Learn more about Kevin and his goals for managing Chincoteague National Wildlife Refuge in this blog interview. 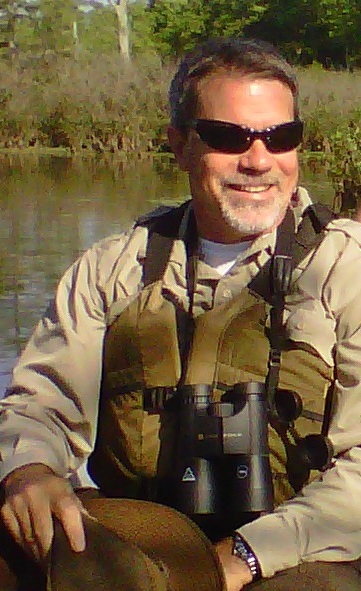 Kevin Sloan has been selected to serve as the new refuge manager at Chincoteague National Wildlife Refuge in Virginia. What is your professional background and experience with the Service? I began my wildlife career doing alligator research with the Louisiana Department of Wildlife and Fisheries before accepting a position with the U.S. Fish and Wildlife Service in 1987. Since then I’ve served in biological and management positions in eight states. I’ve worked at national fish hatcheries, field offices, national wildlife refuges, and with our Wildlife and Sport Fish Restoration Program. In 2011, I graduated from the Service’s Advanced Leadership Development Program, a training program that provides Service employees the opportunity to explore leadership in the agency and assess, learn about and develop themselves as leaders. It is quite an honor to have the chance to serve as the project leader at Chincoteague National Wildlife Refuge, one of the crown jewels of the Refuge System. Would you mind sharing a few aspects of your personal life, family, hobbies and interests? My wonderful, supportive wife of 24 years, Valerie, and I have 2 children, Dhara (10) and Dustin (4) and two Australian shepherds, Jade and Ciera. Valerie is an educator at heart and enjoys homeschooling our son as well as other children. Dustin likes building aircraft, trucks and race cars with Legos. He also enjoys swimming, fishing, boating, practicing his batting skills and pretending to be a monster, dinosaur or shark. Dhara’s activities include dancing, playing piano, swimming, reading, and identifying flora and fauna. She loves animals and seems to have Dr. Dolittle/dog whisperer-like skills. She is an accomplished birder for her age and can identify at least a hundred birds on sight. She also enjoys reading the Sibley guides and other books about nature. Although our daughter has always been interested in horses, our son has recently taken an interest in them as well. And, I don’t think it’s coincidental to my having accepted the position at Chincoteague. I spent more than 20 years of my life either rock climbing, mountaineering, kayaking, or backpacking in the west. Now, I enjoy family and pets, traveling, fishing, hunting, gardening, birding, hiking, cooking, photography, music and reading about natural history. What are your goals as the new project leader? We will continue to manage habitat for waterfowl, wading birds, shorebirds, song birds, other migratory birds, and threatened and endangered species. I intend to employ a balanced management approach by maintaining the biological integrity of refuge habitats while expanding some public use opportunities. Given strong storms, dynamic coastal processes, and the uncertainty of how and when climate change will impact the coastline, I will continue the ongoing work with partners to explore sustainable approaches to increasing the resiliency of this unique barrier island system. What kind of experience do you want visitors to have at Chincoteague National Wildlife Refuge? Chincoteague is a special place and I want visitors to have a safe and enjoyable experience at the refuge. I hope visitors leave with an appreciation for the aesthetic, environmental, and economic value of wildlife and wild lands such as Chincoteague National Wildlife Refuge and Assateague Island National Seashore as well as an appreciation for the importance of preserving these national treasures for future generations. The draft comprehensive conservation plan (CCP) and environmental impact statement (EIS) for Chincoteague and Wallops Island national wildlife refuges was recently released. What can the community look forward to regarding next steps? Click here to stay involved in the conservation planning process and for the latest information about the refuge’s CCP. It is extremely important for members of the public to engage in the ongoing planning process, if they haven’t already- the public comment period is open until August 15, 2014. Community input is a vital part of the planning process. Based on public feedback, we may refine and change some of the proposed actions included in our preferred alternative. After that, we will develop the final plan for approval by our agency’s leadership, which will be the guidance document for managing the refuges for the next 15 years. How do you plan to manage a coastal refuge in a changing climate? My plan is to utilize the best climate change science and adaptive management strategies available to inform any proposed management actions resulting from sea-level rise predictions for coastal environments. Sea-level rise predictions are subject to many variables, presenting a daunting challenge to refuge biologists and managers. As predictive science improves, we must be prepared with management strategies that allow us to adapt based on the best science and predictions available at that time. In addition, sustainability of any management direction is perhaps the most important aspect of our attempts to address the potential impacts of climate change. To embark on an unsustainable path means wasted resources and effort that could otherwise be put to better use. Kevin will begin working as the project leader at Chincoteague National Wildlife Refuge on October 5, 2014. He can be reached at Kevin_Sloan@fws.gov or at 757-336-6122 once he begins. This entry was posted in National wildlife refuges and tagged CCP, Chincoteague, Chincoteague National Wildlife Refuge, climate change, conservation planning, Crab Orchard National Wildlife Refuge, Kevin Sloan, refuge manager, sea level rise, Virginia, Wallops Island National Wildlife Refuge on August 4, 2014 by tylarjoi.